I have seen many people use their iPhone and Android phone as a distraction device. Candy crush and Angry Birds are it’s main function. That’s a very expensive video game device. You may use EBay for both business and personal reasons. Bottom line if you have an account change the password now. And take the time to start using a password program creating passwords of at least 12 characters. This number is a lot harder to break. Your phone is hungry. Most people I see keep their phone’s brightness high even when it’s dark. I see people charging their phone to 100% as a matter of habit. These and many more habits are creating a device with short time between charges. 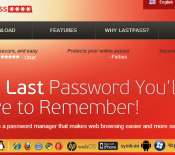 Lastpass the password security manager just added a new feature that not only makes your life easier but it will allow you to create safer passwords. Let me explain. Landlines Are Dead – Long Live The Landline! Landlines are expensive, inflexible and archaic. But they often provide the cleanest way to talk to another person. AT&T’s years of monopoly and refinement created a fantastic level of quality over two very thin and fragile copper lines. I’m amazed at the robustness and sound quality they were able to achieve. Don’t change your passwords. It can expose you to higher risk than waiting. That’s the base level advice right now. Until you know that a particular website has updated their security, changing you password opens a heartbeat pingback that is exploitable.